Ashton Bentley, the meeting room technology specialist, today announces the launch of its new range of "out-of-the-box" modern and sleek presentation and video conference systems based upon its revolutionary wave OS operating system. The solution is driven by users' desire to mirror the communication methods they use in their private lives into their day-to-day business meetings as well. The company will be unveiling a new range of integrated audio-visual room systems with Wave OS at Integrated Systems Europe 2017 on booth P400 in hall 14. Today's young professionals are the wired generation. They have Smart TVs in their living rooms and Smart Phones in their pockets, this has meant that they communicate increasingly via popular apps such as FaceTime, Skype and WhatsApp. Businesses are now wanting to integrate the same multi-platform and flexible approach into their audio visual and video conferencing systems. Yet, until now the marketplace has not taken the step into the app driven world. Ashton Bentley is restoring confidence in meeting room technology though its launch of technically advanced, yet simple to use, application driven, audio visual and video conferencing room systems. 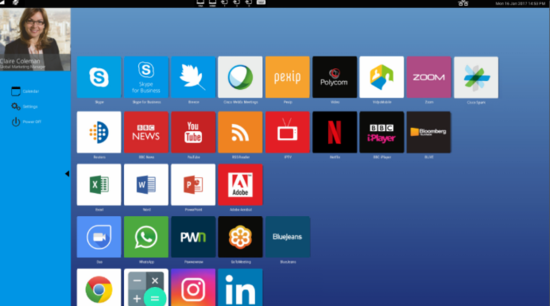 Ashton Bentley's wave OS provides a soft codec-agnostic App platform, allowing users to use their preferred communication platform from an ever-growing list of Apps - including Skype for Business, Google Hangouts, Pipex, WebEx, Spark, GoToMeeting, Polycom, StarLeaf and Zoom. In addition, businesses can load business-specific Apps onto the platform such as calendar, Reuters, IPTV or training videos. "Based on a number of flexible Apps, Ashton Bentley has liberated the meeting room through wave OS, allowing staff members to interact with the meeting room display in a way that they are comfortable and familiar with. This could be Skype for Business in one meeting and WebEx for the next, without a need to change hardware," explains Tony Leedham, business development director, Ashton Bentley. wave OS also provides full local, or remote administration, management, control and diagnostics of each room system deployed through its proprietary abSee management console. This provides administrators with a powerful set of tools via a dashboard allowing real-time system and profile management, fault monitoring and user metrics. Through the web-based abSee console, individual user or room profiles can be managed and given separate profiles depending on business requirements. This means users can sign in with their own profile so as to have access to the Apps and functionality they want in any meeting room wherever in the world that may be. Combining Wave OS and its new range of hardware gives Ashton Bentley the ultimate range of meeting room packages available off the shelf. New hardware includes fully integrated intelligent displays, simplified wired and wireless device connectivity, echo cancellation, high quality speakers and cameras, and a unique range of optimised huddle and meeting room table solutions. Through its new range, Ashton Bentley is bringing managed and easy-to-use Smart TV functionality into the corporate environment. Restoring confidence in meeting room technology through its simplicity and functionality. "We recognise that meetings are stressful enough. The last thing your staff need is for the technology to let them down. 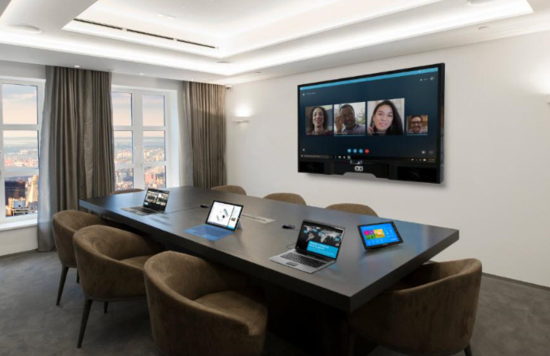 Ashton Bentley is restoring confidence in meeting room technology with seamless, simple audio visual and video conferencing systems for the millennial generation, out-of-the-box," adds Leedham. "The future of meetings is here. It's flexible. It's intuitive. It's smart." Price and availability: A complete room system with Wave OS is available from £6,000. 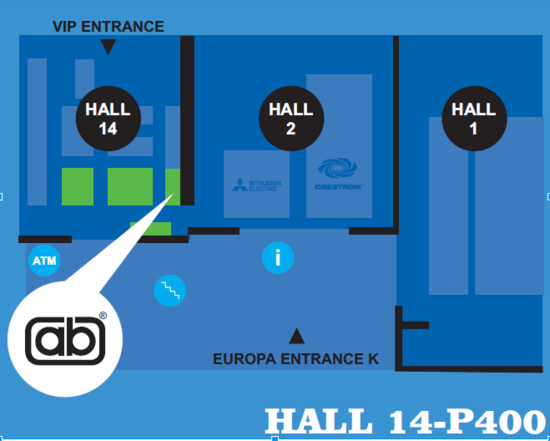 Further details available on booth P400 in hall 14 at ISE 2017 or by E: [email protected] or T: +44 (0) 947 4050207. Ashton Bentley, the meeting room technology specialist, today announces the launch of its new range of \"out-of-the-box\" modern and sleek presentation and video conference systems based upon its revolutionary wave OS operating system. The solution is driven by users' desire to mirror the communication methods they use in their private lives into their day-to-day business meetings as well. The company will be unveiling a new range of integrated audio-visual room systems with Wave OS at Integrated Systems Europe 2017 on booth P400 in hall 14. \"Based on a number of flexible Apps, Ashton Bentley has liberated the meeting room through wave OS, allowing staff members to interact with the meeting room display in a way that they are comfortable and familiar with. This could be Skype for Business in one meeting and WebEx for the next, without a need to change hardware,\" explains Tony Leedham, business development director, Ashton Bentley. \"We recognise that meetings are stressful enough. The last thing your staff need is for the technology to let them down. 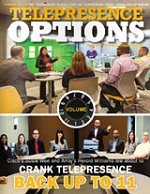 Ashton Bentley is restoring confidence in meeting room technology with seamless, simple audio visual and video conferencing systems for the millennial generation, out-of-the-box,\" adds Leedham. 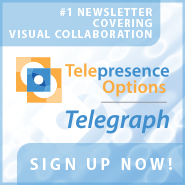 \"The future of meetings is here. It's flexible. It's intuitive. It's smart.\"